Set in the 21st century – between 20 and 60 years from now – The Sparrow is the story of a charismatic Jesuit priest and talented linguist, Emilio Sandoz, who – in response to a remarkable radio signal from the depths of space – leads a scientific mission to make first contact with an extraterrestrial culture. In the true tradition of Jesuit adventurers before him, Sandoz and his companions are prepared to endure isolation, suffering – even death – but nothing can prepare them for the civilisation they encounter, or for the tragic misunderstanding that brings the mission to a devastating end. Once considered a living saint, Sandoz returns alone to Earth horrifically maimed, both physically and spiritually, the mission’s sole survivor – only to be blamed for the mission’s failure and accused of heinous crimes. A wonderful night at book club. Everyone was in attendance as we welcomed 2 brand new members to our fold. The good news is that the newbies appeared undaunted by our ‘talk all at once’ approach. The bad news is that at least one of them was open to cannibalism … after all is it really cannibalism if you don’t know that person all that well or they’re a townie? And cats are totally fair game. 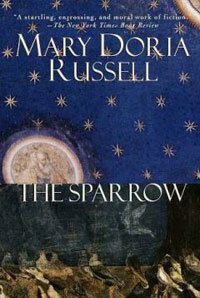 ‘We’ discussed The Swallow by Mary Doria Russell ( I say ‘we’ but ‘they’ would be more accurate – since I didn’t quite get around to reading the book, I just ate cheezies). This was the first sci-fi book we selected. Although some felt it was not a sci-fi book at all but rather a religious/spiritual novel with space and extraterrestrial culture as the backdrop. The group was pretty much split down the middle on this read. Half thought it was a fantastic read with interesting characters and themes – the search for a higher power, the inability to understand and accept ways of being that are completely new to us, the fact that if you split your fingers down to the wrist masturbation is pretty frickin’ difficult. Again, didn’t read the book just reporting what I heard. The other half found it hard to get into. It took awhile to understand what was happening the story switched back and forth in time with a lot of characters to know – some with multiple names. (None of which I know because ..well there were cheezies). What everyone did agree on the improbability that the priest would be returning after making it home safely. But there is sequel about exactly that! At least a few members will be reading it to find out why he goes back and what direction that story will take. We’ll be looking for a report. It was a fantastic night. 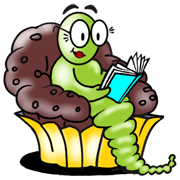 Thank you to our host for the great book choice and for the perfectly cooked grub and yummy dessert. Thank you too for the beautiful prize give-away. Very, very thoughtful. On behalf of Cathy with a C our apologies for freaking out your cats – especially the plump one.